Lions and Tigers and Bear Claws, Oh My! 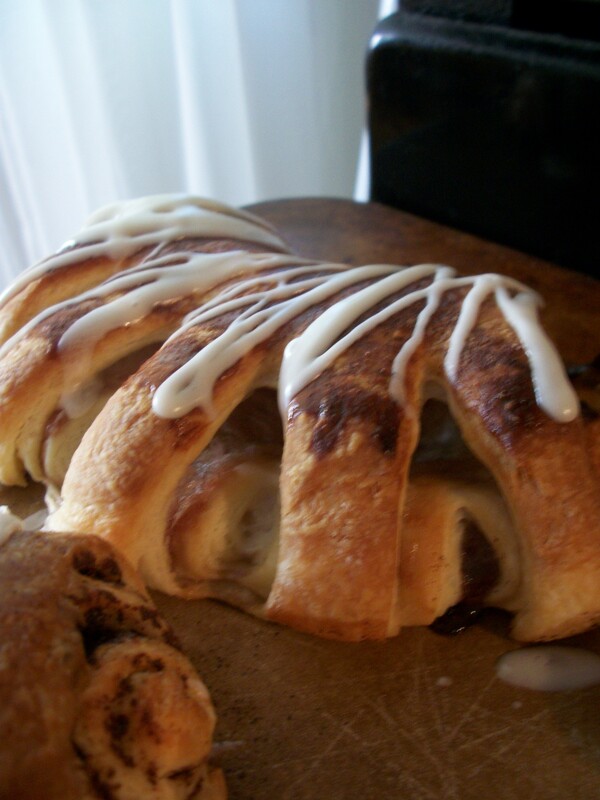 Thanks to Dorie Greenspan’s, Baking With Julia, I embarked on an a Bear Claw adventure this past weekend. I picked the brain of one of my co-workers and he recommended that I use Danish dough for this project. This proved to be a much easier dough to make than the croissants I made two weeks prior. This recipe only called for two sticks of butter-half of what the croissants called for. I mixed up whole milk, water, yeast, sugar, salt, and egg and let it sit for a bit. Meanwhile, I put the flour and butter into the bowl of the food processor. This was a new technique that I am now in love with. 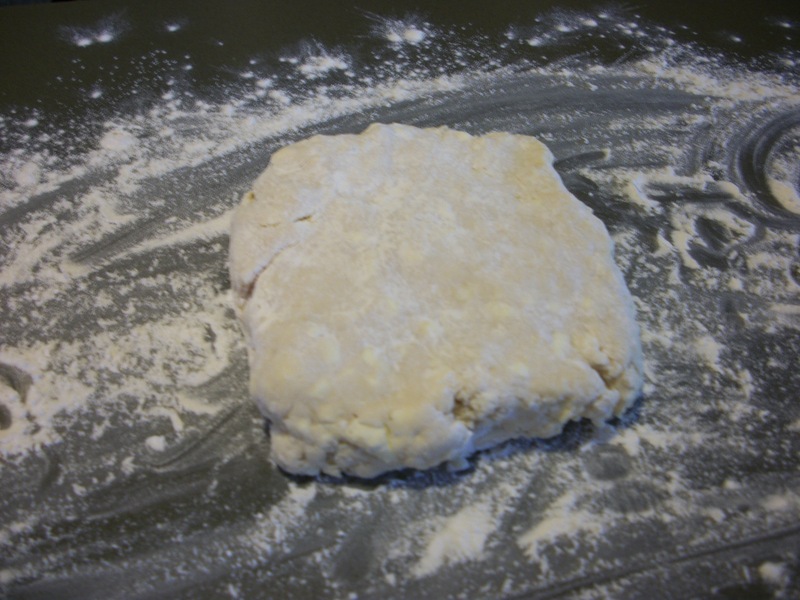 I mixed the liquid with the dry, just enough to moisten the dough. I covered it and it went into the fridge, overnight. 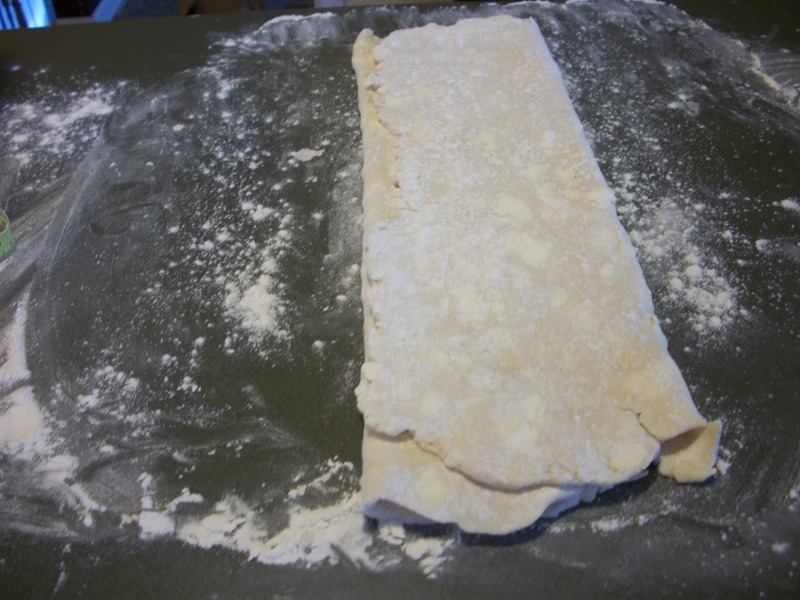 I turned the dough out onto the floured counter and proceeded to roll it into a sixteen inch square. I folded it into thirds and turned it. Rolling it out again, this time into a rectangle, ten inches wide by twenty four inches long. Again, it got folded into thirds. It next gets rolled out to a twenty inch square and folded again. I repeated these two steps, twice more. Because the dough had less butter, it didn’t need as much chilling between turns. The recipe said to chill for thirty minutes but I decided to give it overnight. 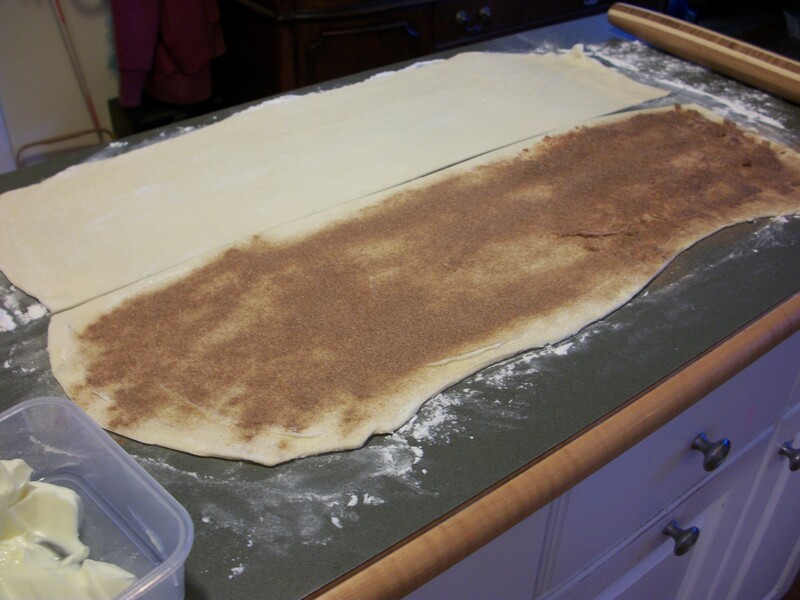 I rolled out the dough and decided to do a couple different fillings: Almond, cinnamon sugar, chocolate and raspberry. 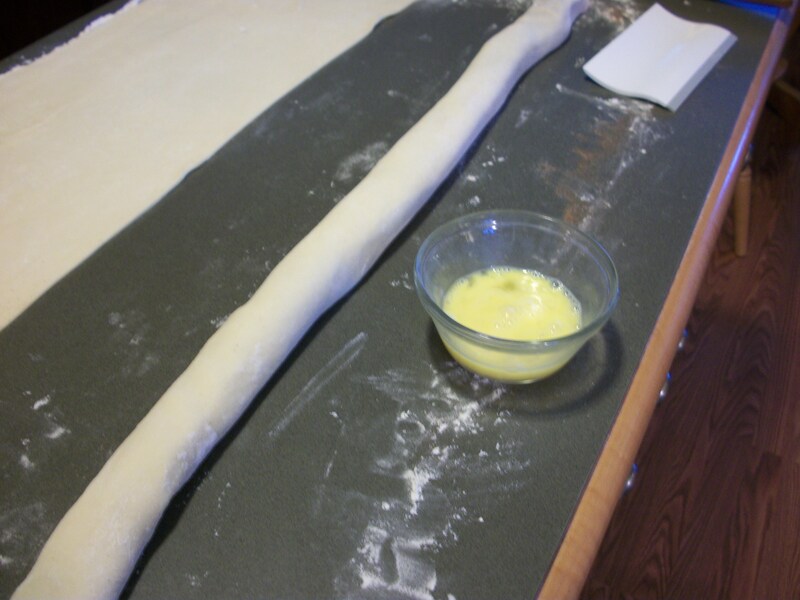 I rolled the dough into a long tube and cut pastry scraper lengths. I then cut “fingers” into each one and formed them into a semi-circle on the baking sheets. After an egg wash, I let them rise until they were twice in size. 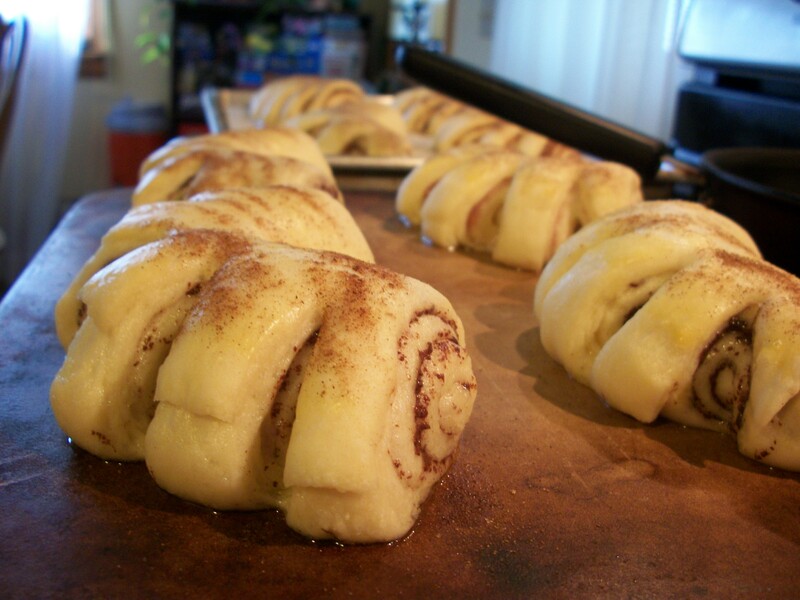 After a light dusting of cinnamon and sugar, they were baked for about eighteen minutes. Once they cooled down a bit, I drizzled a powdered sugar glaze over them. These seemed more flaky and buttery than the croissants–if that even seems possible. We enjoyed these with some crisp bacon and freshly ground and brewed Guatemalan coffee. I’m sure I sighed with delight, just as much as I expected to. The next adventure? Pecan Sticky Buns. This entry was posted in baking, food and tagged baking, bear claws, dorie greenspan, pastries, pastry.